The Rising of Bella Casey will feature on RTE’s cultural review programme tonight (RTE, 10.50pm). There’ll be a couple of short readings and an interview with presenter John Kelly. 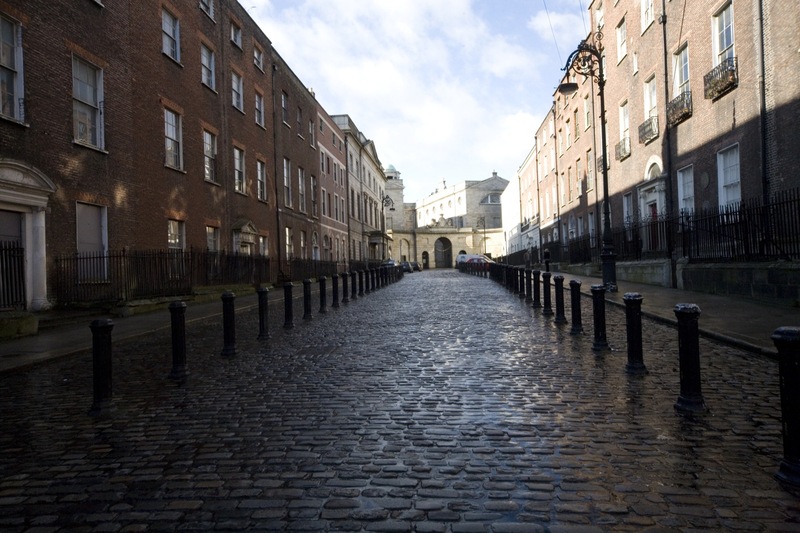 The interview and readings were recorded in 12 Henrietta Street, one of Dublin’s best maintained Georgian streetscapes. Henrietta Street was developed between 1729-1758 for the Georgian gentry but fell into disrepair in the late 19th century as the well-to-do migrated to leafy suburbs beyond the canals. By 1911, the street was a haven of notorious tenements with as many as 825 people living in abject poverty in just 15 houses. Number 12, designed by Edward Lovett Pearce, was built by banker and property speculator Luke Gardiner between 1730 and 1733. Its first known occupant was William Stewart, 3rd Viscount Mountjoy and later 1st Earl of Blessington. Now privately owned, Number 12 still maintains the spirit of its formal Georgian elegance – marble fireplaces, exquisite stucco work – as well as the marks of its later decline. The lips of the steps of the ruined staircase are worn into smooth hollows by the weary tread of the oppressed; there are glimpses of lathwork – the very skeleton of the house – behind the crumbling plaster walls. The walls are like a geological cross-section showing the variegation of paint layers applied over the years, roseate and lichen green. 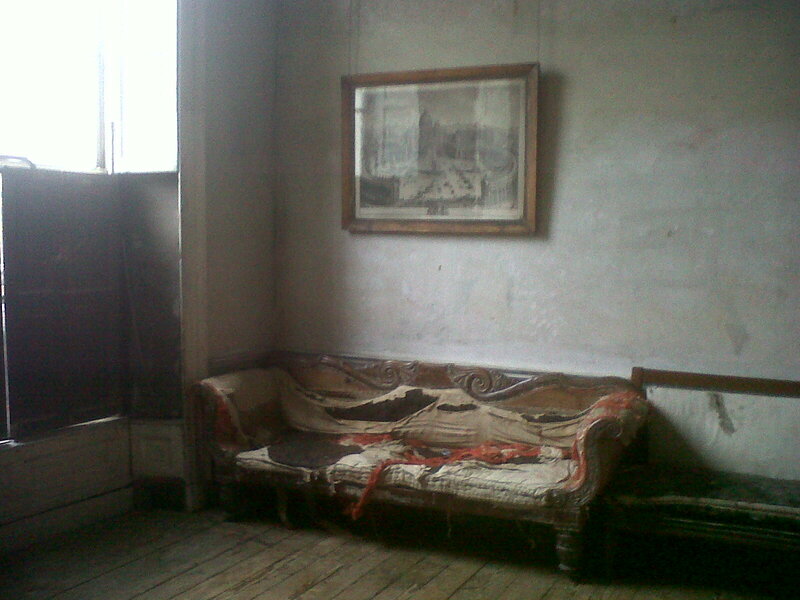 Damp has left its shadows and draughts whistle through the unadorned casements. As I stood shivering at the first floor windows, looking out on to the rain-slickened cobbles and the car-less, unpeopled street, it was easy to imagine myself back into my heroine Bella Casey’s world (she lived in a tenement on Fitzgibbon Streeet). Our host, Kevin, kindly lit a fire in a downstairs room and we huddled gratefully close to it, between takes, clasping takeaway coffees in the Stygian gloom. Number 12 has not been made over or prettied up and all the better for that; in its present unrestored but nonetheless cherished state, it allows the visitor to imagine its various manifestations by inhaling its history on the spot.